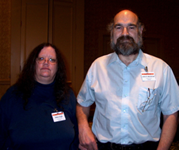 Dr. Debra Doyle and James D. MacDonald also write horror under the pseudonym Nicholas Adams and sci/fi under the names Robyn Tallis and Martin Delrio. You can read excerpts from their novels at their website. MageWorlds — (1992-2001) Publisher: The daughter of an assassinated politician finds herself in the thick of a galactic intrigue that threatens to shatter a 30-year period of peace after centuries of conflict. She’ll get used to the intrigue but will the galaxy get used to her? Mageworlds: One of the best! Mageworlds is one of the best trilogies I’ve ever read. 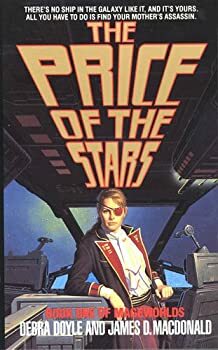 It’s categorized as Space Opera since there are spaceships and multiple planets involved, but trust me, this falls on the fantasy end of the spectrum. If you’ve never tried Space Opera, this is a wonderful place to get your feet wet. If you like Space Opera, jump on in! If you like great characters, intriguing plots and a fast-paced, action packed adventure, you’ll love this series. 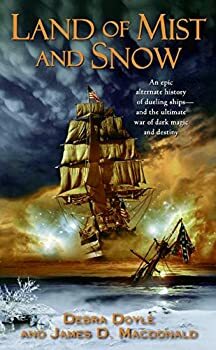 Land of Mist and Snow is an alternate history of the Civil War, focusing on two ships that are controlled by elemental spirits, one ship fighting for the Union, and one for the Confederacy. Thu Union ship, Nicodemus, chases the Confederate Alecto across the Atlantic Ocean, trying to find the key to ending the Alecto’s demonic presence on the water. Key to this discovery are Lt. John Nevis, the Nicodemus’s gunnery officer, and Miss Columbia Abrams, an innocent in the ways of the world, but learned in metaphysics. The story is based on the real life feud between Cornelius Vanderbilt (who funds the Nicodemus) and William Walker (who funds the Alecto), an American who hired an army to make himself president of Nicaragua. Circle of Magic — (1990-2001) Ages 9-12. Publisher: In this first book of a six-title fantasy series, readers will meet a young squire named Randal, who leaves the security of his life at home to become a student at the School of Wizardry. In his spellbinding journey from sorcerer’s apprentice to journeyman wizard, Randal will encounter endless perils and deadly enemies… and young readers won’t want to miss one bit of the intrigue or excitement! Knight’s Wyrd — (1992) Ages 9-12. Publisher: On the evening before he is knighted, young Will Odosson is told his wyrd-his fate: He will not inherit his father’s barony; he will meet Death before the year is out. Groogleman — (1996) Ages 9-12. Publisher: When thirteen-year-old Dan journeys to the Dead Lands to rescue the village healer kidnapped by the grooglemen, he discovers strange things about himself and the world.